From fancy cars and expensive clothes to fine dining and exotic vacations, there are many ways you can spend your hard-earned dollars. And there is nothing wrong with rewarding yourself for a job well done -- but what would happen if you rewarded someone else instead? ," explores the ways in which charitable behavior can lead to benefits for the giver. While the the concept that giving to others can make you feel good about yourself is not revolutionary, there are several more subtle ways that giving your money or time for a cause can benefit your psychological, spiritual and emotional well-being. based on the research of the Harvard Business School as well as other experts and websites. When you donate to a charitable organization or a non-profit group, the amount you donate is tax deductible. But not only is the money you give tax deductible, so are the amounts you spend on travel, parking costs and even convention and event fees that are related to the non-profit group, as long as you are not being reimbursed by the charity for these expenses. 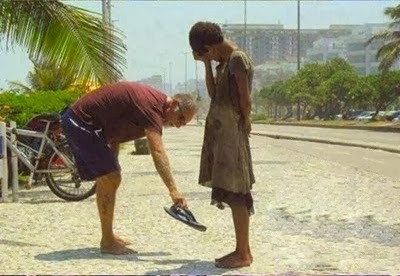 The act of helping others can create an improved sense of well-being. Knowing that you sacrificed something such as time, finances or property in order to help others in need can give you a sense of purpose in life or work and inner satisfaction. When considering donating to a charity, many people tend to research the issues connected to that organization. As a result, you become more educated about social injustices around the world. You may discover new points of view and opinions on topics about which you were previously uniformed. This knowledge may position you to help increase the awareness of social problems among those in your sphere of influence from a balanced and educated standpoint. After donating financially to a charity or non-profit organization, you may feel an inner pull to become more involved with the cause by donating your time and skill as well. By volunteering, you have the opportunity to build your social circles while reaping the physical, mental and spiritual benefits from the labor you contribute to your favorite cause.